Discover what you can expect as you begin using the new LinkedIn Sales Navigator to build relationships with buyers. If you use LinkedIn Sales Solutions, you’ve no doubt noticed some major changes to the platform. In fact, LinkedIn Sales Navigator is a different platform all together, delivering an enterprise grade, sales-specific experience. The changes you see are designed to help you better connect, and build relationships with, the buyers you need to engage. Here’s what you can expect from the LinkedIn Sales Navigator experience in terms of its ability to help you focus, stay informed, and build trust. Sales pros can now find the right people even quicker with access to additional Premium Search filters, along with enhanced Saved Search functionality. Save time searching for leads by getting them delivered. Sales Navigator provides relevant Lead Recommendations as you’re viewing profiles and Account Pages. In addition, you can access more people at your accounts with extended network access. The extended access allows you to view the full names, profiles and activities of your 3rd degree connections. 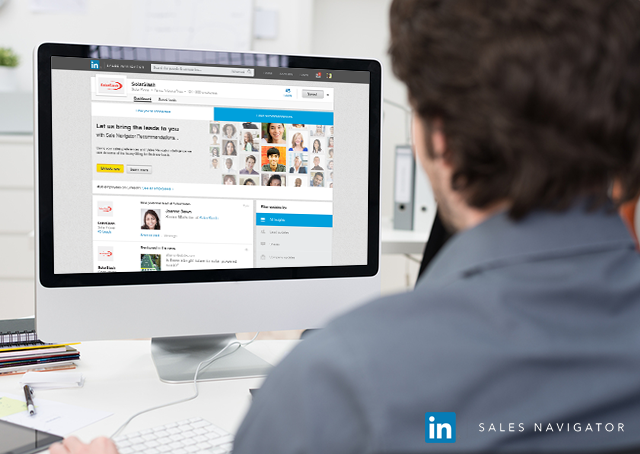 With LinkedIn Sales Navigator, you can’t help but stay up-to-date. Simply save your target leads and accounts. You will have insights delivered to you via Sales Updates and daily updates emails. Import your existing accounts and contacts to ensure you’re getting access to timely, relevant information from not only the LinkedIn platform, but also relevant news sources. No matter where you’re working, Sales Navigator helps you stay informed. CRM widgets provide access to LinkedIn insights in Salesforce and daily updates emails ensure you stay informed while on the go. One of the first things Sales Navigator users will notice is access to a Full Premium Profile with the ability to use bigger, more visually appealing photos. The Premium Profile helps you build trust with a thoughtful LinkedIn presence that shows prospective customers who you are and how you can help them. It also includes features that allow you to be found more easily, and provides expanded data on how people are viewing you with an enhanced Who’s Viewed Your Profile. By combining lead and account insights with ability to connect with more high-quality prospects, it’s never been easier for sales pros to deliver the right message, to the right person, at the right time. Of course if you’re still getting used to LinkedIn Sales Navigator and want to ensure you’re taking full advantage of the new platform, be sure to visit the Learning Center for on-demand access to training presentations, videos, and tip sheets.